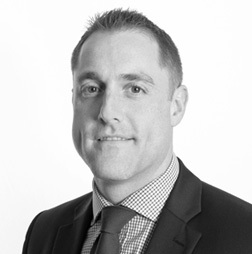 Alister joined LTSB Private Banking direct from university where he completed a BA (Hons) in Financial Services, having undertaken further qualifications he then became a Client Relationship Manager with Inscape Investments before rejoining LTSB as a Private Banking Manager. He has a keen interest in Investment Markets and enjoys the challenges that the rapidly changing environment can present. He holds the Investment Management Certificate as well as holding the CII’s Advanced Diploma in Financial Planning, and is a Chartered Financial Planner. He has attained Fellow status of the Personal Finance Society. In terms of his philosophy, he believes that the importance of an Adviser role can be simply stated as ” Doing my upmost to ensure that strong relationships are forged by fully understanding what is important to my clients and then striving to ensure that their needs are met and their goals achieved’. Outside of life at CDC, his main passion is Rugby – he enjoyed a long playing career and spent over a decade coaching his Son’s team. Alister loves to follow his local side as well as attending international matches. He also enjoys going to the gym and generally trying his best to stay in shape!